If you are one who likes to have the feeling of control, surrender and flow can be difficult concepts to embrace. This is only because you perceive surrender as being out of control. 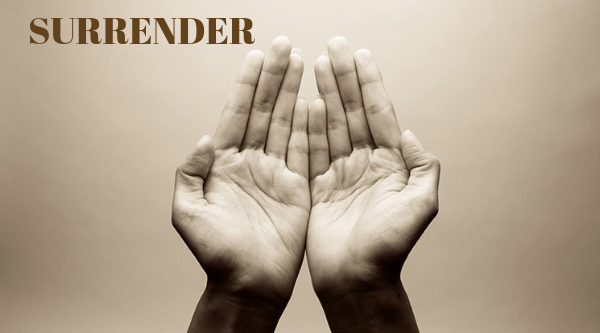 In this message today I wish to clarify the power of surrender and aid your understanding of its true definition. The act of surrender is a choice. Not just a choice, but an empowered choice. You are in charge, and for every moment you stay in surrender and flow you are choosing to use a system of support that can help you far more than trying to micro-manage your life from your limited vantage point of the finite individual self. Surrender is the highest level of control and yet a letting go of control at the same time. Choosing to surrender is activating your team of helpers. It is you acting in your highest form and fashion as the master of your life expression, calling on all the supports available to you. Surrender is consulting with the experts of your life expression. It is much like being your own CEO calling in the many talented people you have on your team to lend their expertise. Every great leader, CEO, has a team, a tribe, an entourage of support around them. Surrender activates your team and aligns with them. Adding to the power of this team of support, you get to continue to steer your flow through gratitude and appreciation. Surrender and flow are co-creative processes with you as the master. This is how you can use your free will to choose a much more efficient operating system that is not only supported energetically but designed to take you to your highest outcomes and you peek potential. Feeling a sense of flow is like drifting down stream with a gentle current doing all the work and hardly needing to use your paddles except to maneuverer around the turns and bends. Flow is the alignment of natural, organic energy already in motion around you when you chose to surrender. Change your idea of what control is, and understand your true power comes from making decisions that come from your heart and inner wisdom. It is being the loving and benevolent leader, the master of your own life expression by using the divine combination of surrender, flow, and faith. You cannot micro-manage and create at the same time for the simple reason that control is constraint, while creation is expansion. So how do you have a feeling of having some semblance of control while embracing creation? By understanding that gratitude is the steering wheel of the flow and your most powerful feedback tool for the universe, and your focus is your blessing of continuation. That, coupled with surrendering into your highest intentions, is how you move into empowered co-creation, the system that can actually lead you where you wish to go and beyond. Your bodies are supercomputers. The operating system running the show is your self-talk. This self-talk consists of your thoughts, feelings, and beliefs. The more conscious you are, you realize the power that brought you here and breathes life into you will also guide your way. Step into mastery, be the leader you are meant to be and call upon your entourage of support to take yourself to a whole new level of being in control. Surrender and flow is the operating system of choice for the conscious and empowered human being.